While Jokers can be entertaining, their engaging and humorous nature can also help pass on important information to their audiences. 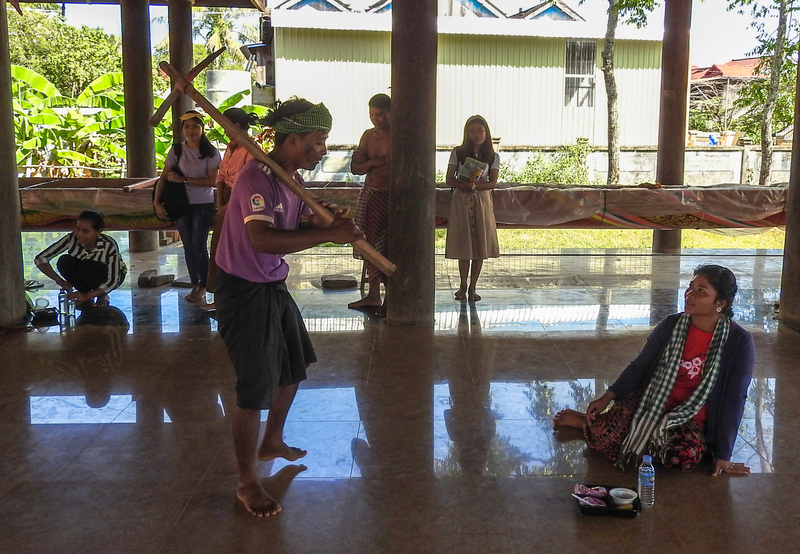 Oxfam has supported and helped train nine Jokers in the Mekong region since 2015, five from Vietnam, two from Cambodia, one from Myanmar and one from Laos, as part of its Forum Theatre program, with performances being held in Myanmar, Vietnam, and Thailand. Forum Theatre uses audience participation and humor to highlight important social issues and collaborates with Jokers to help the audience engage with these issues. It is an ideal tool for indigenous communities and rural communities all over the world. 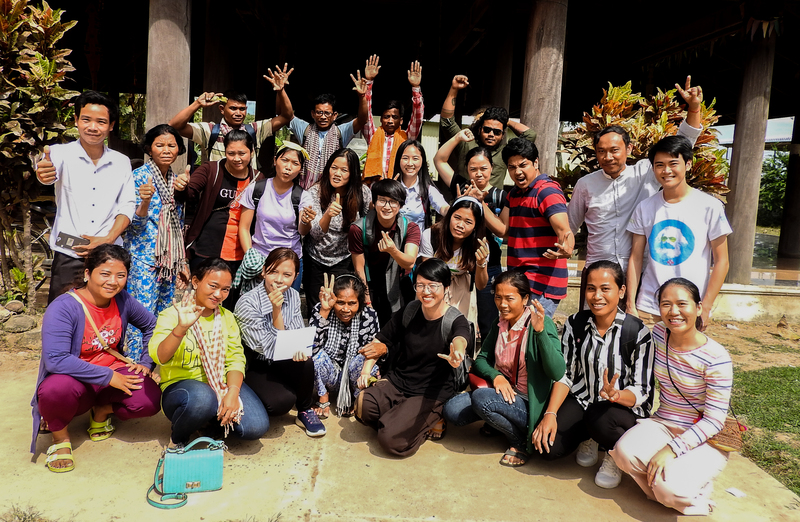 In December 2018, the nine Jokers traveled to Siem Reap, Cambodia to train 15 Cambodian youths from Sambo district, Kratie province, an area downstream from a proposed hydropower dam project. Under the theme of “Water Resource Management”, the forum lasted four days, with the Jokers teaching the youths how to perform Forum Theater before the youths put their training into practice. On December 14th, the 15 youths put on a theatre performance day convened by Oxfam and its partner - Northeastern Rural Development (NRD) - at 100 Pillars Pagoda, in Sambo district. Roughly 50 people from the local community attended the performance, including local authorities and tourists. The performance helped raise awareness around local issues including illegal fishing, gambling, and domestic violence. The proposed dam was also brought up, despite it being a sensitive issue to talk about in public. The participatory-style of the theatre was interesting, in that it encouraged members of the audience to jump in and replace the actors in scenes they thought they could perform to address the issues raised by the entertainers. This enables the audiences to come up with their own ideas and solutions to local issues, rather than an explanation being simply told to them. One man and one woman from the audience voluntarily joined in during the performance around how to stop illegal fishing. They called for community members and local authorities to intervene by setting up conservation zones to protect communities’ livelihoods and protect natural resources and endangered species, including the local river Irrawaddy dolphins, which attract local and foreign tourists to the area. Two women came up with their own solutions to protect victims of alcohol-related domestic violence: they said the victim should call for help as loud as they can to the nearest neighbor or authority. While this technique may appear obvious, it breaks the traditional social norms and traditions of women not confronting their husbands, even when they are being violent, and encourages them to consider these approaches in the future. At first, I assumed forum theatre was the same as the traditional theatre I used to attend, but after seeing the process from training to performance, I completely understood the differences. 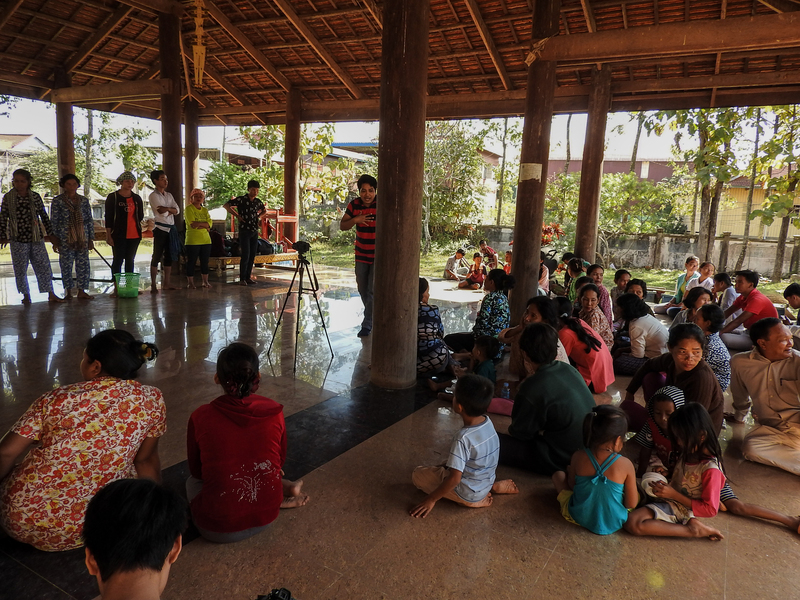 The community members were trained on how to put on performance highlighting real issues that are rarely discussed publicly in the communities and encourages the audience to come up with their own solutions, rather than it coming from the performance’s author, as it normally would during traditional theatre. The medium of forum theater intends to advocate and inform in order to influence decision-makers and policy developers to provide better solutions to both local community issues, and large-scale development issues facing the country and region. Ideally, forum theatre in the current context of advocacy could be continuously organized and extended into targeted areas in other countries in the region. Local communities must have their voice heard by policymakers and large-scale project developers to find better solutions and common benefits. Our goal is to ensure that vulnerable communities affected by mineral mining and national hydrocarbon exploitation will have exercised their right to sustainable livelihood.